It’s not often you hear about students going on a parade to celebrate being transferred to a new school. 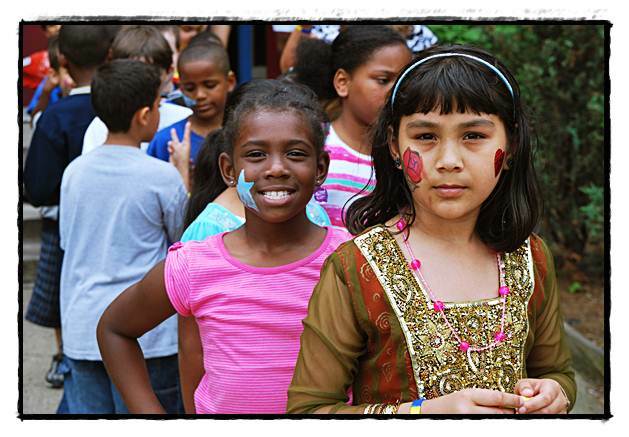 But instead of moping about the closing of Dickinson West Elementary School, the students and staff decided to make it a day of fun last Friday and paraded to their new school, down the block, Kosciuszko. 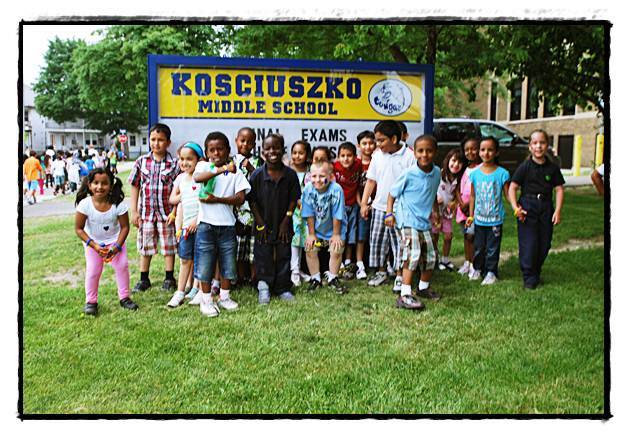 The last day of class is today (Friday, June 17), and Dickinson West students won’t be attending Kosciuszko until next fall. 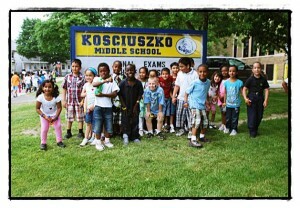 To ease the transition, the students took part of last Friday off and held a parade to Kosciuszko. 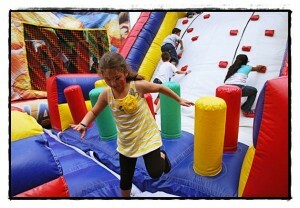 Once there, they got to jump around in several inflatables. 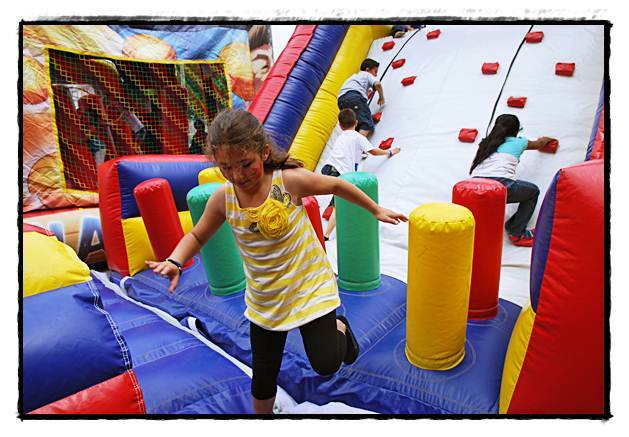 Teachers and staffmembers paid for the inflatables through fundraisers they held throughout the school year. Dickinson West is being closed because of declining enrollment and the need for the public school district to save money. 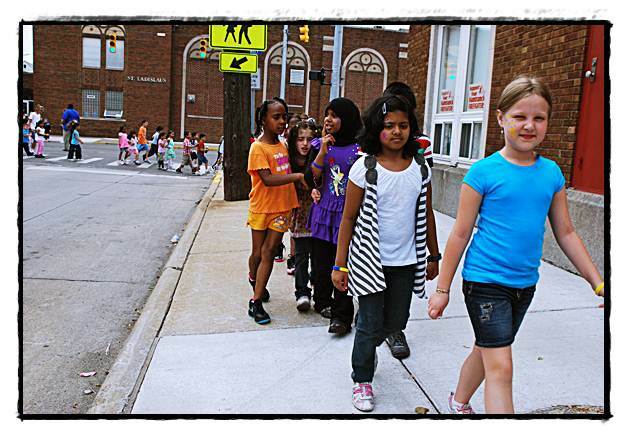 The district is facing a $6 million deficit. The cost to rent and maintain Dickinson West from the St. Lad’s Parish is $469,000 a year. Some of the Dickinson West students will be assigned to classroom trailers on the grounds of Kosciuszko and others will have new classrooms made for them inside the building.